This year's Defence & Security Equipment International 2019 (DSEI) in London, hosted by Clarion Events Limited, will have a new feature, the Space Hub, and Airbus has signed on to exhibit in the the new area of the Aerospace Zone. The show takes place in September. The Space Hub will feature the most innovative companies in both space and defense sectors, offering a dedicated platform for network and collaboration. 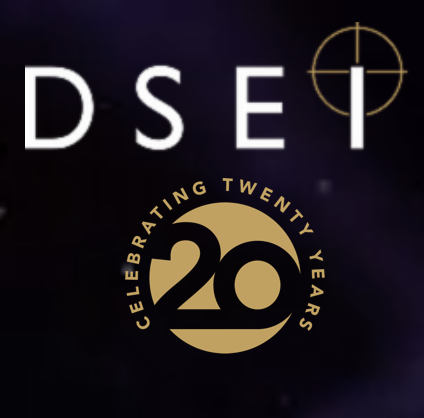 DSEI 2019 will be a strategic exhibition and platform where the industry and delegations from around the world will be gather for a week to share and innovate in key sectors such as space. The space sector has grown substantially over the past few years. In the UK it supports over 40,000 jobs across the country and the total income now stands at £14.8 billion. As reported by the UK government defense and military have seen strong growth, increasing from 2 percent to 8 percent of income. Space has become a vital part of the defense industry, with a significant reliance on satellites to provide the data needed for military operations. With engagement from prime defense suppliers through to SMEs — providing LEO satellite data and analytics — the Space Hub will create a forum to discuss how geospatial data is impacting real-time decision making and intelligent tactical positioning amongst the Forces. DSEI’s comprehensive conference program will also reflect this emphasis on space with a dedicated day in the Aerospace Seminar. Grant Burgham, Event Director, said that Clarion Events is thrilled to welcome back Airbus at DSEI 2019. It is an exciting time for them as we are launching the Space Hub to reflect the increasing value and importance of the space sector to the security and defense industry. Colin Paynter, Managing Director, Airbus defense and Space UK, added that they’re delighted to be returning to DSEI for the first time since 2015. The Space Hub will be the perfect showcase for our Skynet military satellite communications and Earth observation capabilities. They’re looking forward to demonstrating some of the sovereign technologies that sit at the heart of the UK’s world-leading space sector. The Space Hub will offer an opportunity for the industry, the MOD as well as international delegations to discuss the next-generation capabilities critical issues and challenges. Paul Wells, Vice-President and Chief Commercial Officer at GovSat commented that after a successful launch and great operational first year, GovSat is developing at a rapid pace. The Space Hub at DSEI 2019 is a great opportunity for the company to showcase its MilSatCom capabilities and services to governmental and institutional users. Donald Walker, Director, Defense and Security stated that at Avanti they understand the modern data rich military landscape and the need to win the battle for information superiority. The Space Hub at DSEI 2019 is an exciting platform to demonstrate how their military grade satellite technology delivers innovative and bespoke solutions, supporting demanding and often time-critical missions wherever and whenever they are required. Gary Soul, Arralis Chief Marketing Officer commented that they are really excited to exhibit at DSEI this year in the Space Hub. They hope to meet lots of potential customers and partners. 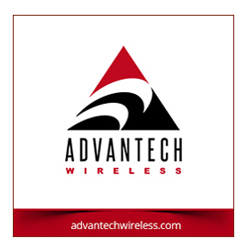 Their key capabilities are Ka-, E- and W-band MMICs, modules and antennas at very high frequency levels. They will be showcasing their large range of products across W-, Ka- and E-band as well as their GNSS multi-band antennas.